Christine Bonner’s love for music began at an early age. She not only comes from a historic family, but from a very musical one as well. She began her study of music on piano at the age of 8 and as a teenager began exploring other instruments. She discovered the folk harp in her twenties and fell in love with the instrument. She soon began performing on the harp and composing music, while raising her children. 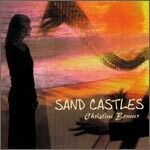 Christine’s debut recording, “Sand Castles”, released in 1998, attained a number 1 ranking on the “Americana” charts at KVMR radio, Nevada City, CA. This recording was dedicated to the spirit and struggles of the Berryessas and all of the early “Californios”. Christine has recently appeared on PBS television, “Central Valley Chronicles”, and “California Heartland”, and was one of the featured performers in Reno’s amazing blockbuster “Spirit of the Dance”. 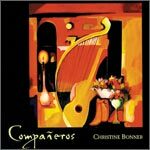 Her second release, “Compañeros”, received rave reviews. It is a celebration of friends and family, inspired by Christine’s vision of a fiesta with food, music and dance. From the fire and passion of flamenco to the soothing gentleness of a lullaby, this recording is a celebration of life. 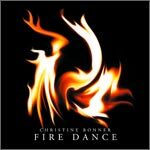 Christine’s latest recording, “Fire Dance”, is a wonderful blend of Celtic, Latin, and jazz flavors. Innovative renditions of some traditional Celtic tunes combined with Christine’s heartfelt compositions makes this CD exciting, fun and compelling. The hauntingly beautiful melodies of Bonner’s original compositions, the exceptional cast of world class musicians who perform with her and the exquisite visual experience and warm atmosphere of her performances are captivating audiences everywhere in her sold out concerts. Click image for a track list, MP3 audio and more information .